Our last stop in Tennessee wouldn’t have been complete without a visit to see the two kings: Martin Luther King’s assassination spot at the Lorraine Motel (now an inspiring civil rights museum) and Elvis Presley’s Graceland. We were staying in yet another Airbnb; this time a pool house in a wonderfully leafy neighbourhood to the east of Memphis, full of streets where neighbours had outdone each other on Halloween displays, even though it was only early October. 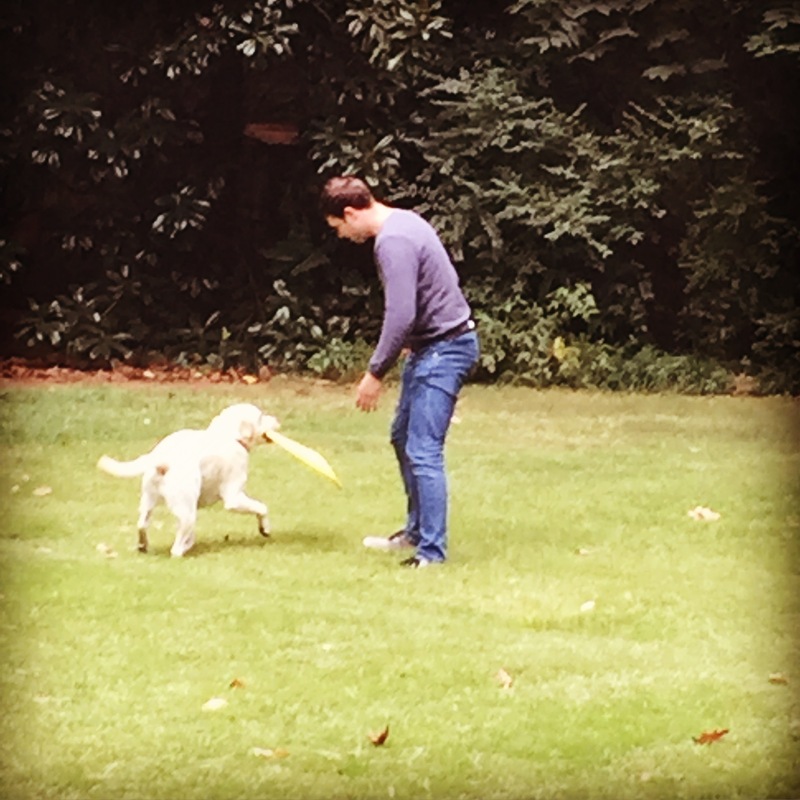 We were greeted by June the Labrador and the family chickens. 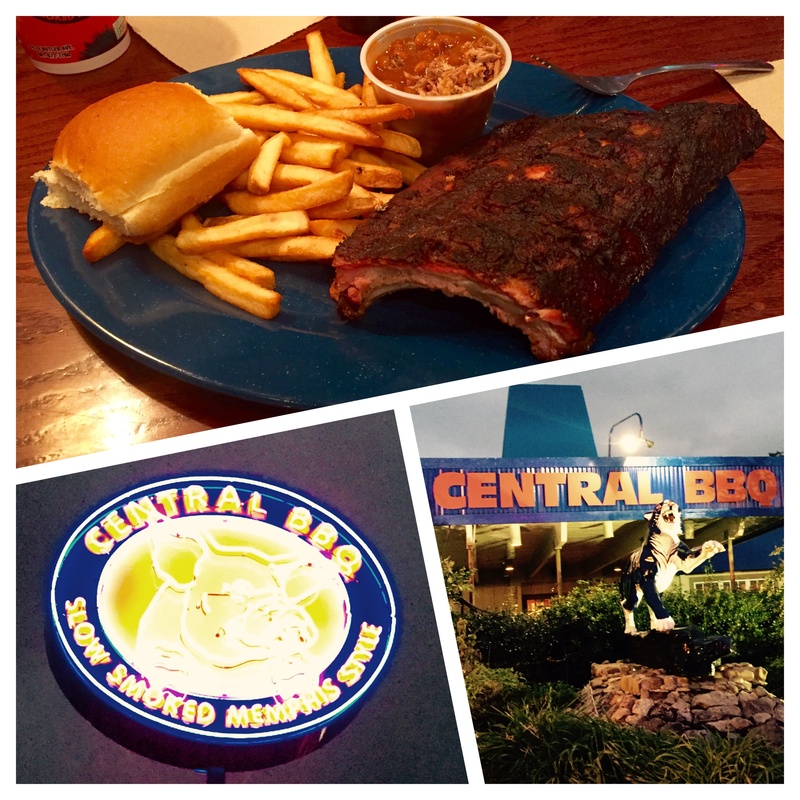 We asked our hosts Rob and Grace for BBQ recommendations and they sent us in the direction of Central BBQ, two miles down the road. One of the best things about Southern BBQ is how relaxed everything is. 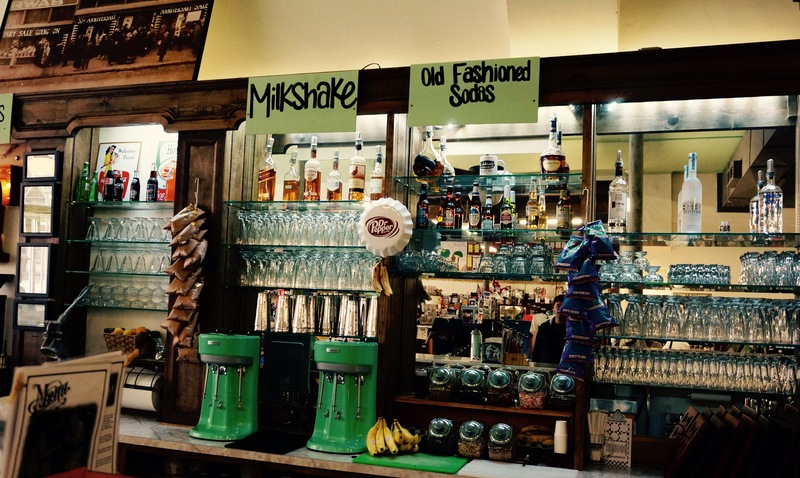 We sat down and started watching a game of American football whilst we waited for our drinks order to be taken. We hadn’t been waiting long, but the owner came over to apologise and insisted we have a free dessert, even though we said it was no problem. He then explained the rules of American football to us and had a big discussion with Phil about why soccer is better than American football. We ordered the slow cooked Memphis-style ribs, dry with sauce on the side as advised, with two sides of mac’n’cheese and pit beans and a couple of re-fills of sweet iced tea. The sweet Hawaiian bread roll and chips served with each meal was an unnecessary addition, given the huge size of the portions already. 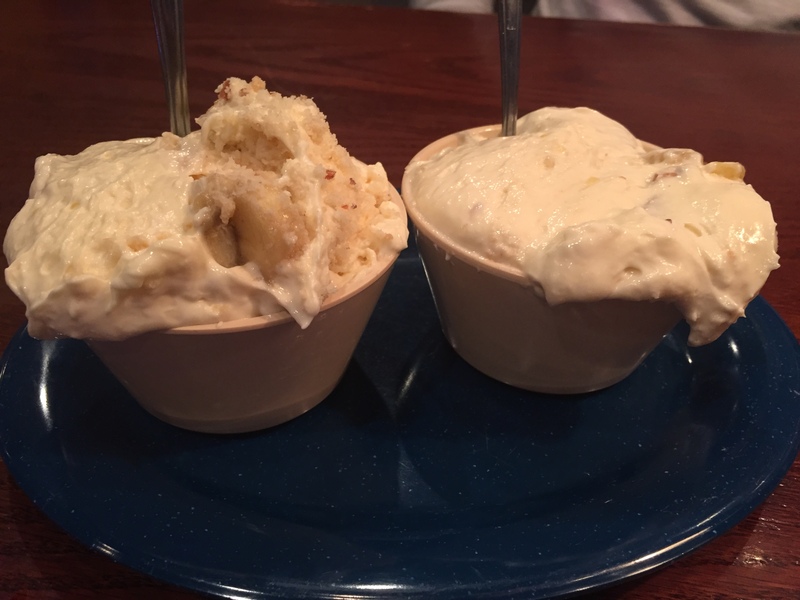 We still had to make room for our free dessert of banana pudding; vanilla custard with sponge fingers, chopped banana and whipped cream. We asked for one to share, but they very kindly still brought two. We managed a few spoonfuls, feeling obliged to try and eat as much as we could, but had to admit defeat after our rib feast, promising ourselves that we would eat salad for the next week. The next day was sightseeing central. Elvis had such an influence on Memphis, and Memphis such an influence on Elvis, that it’s hard to separate the two. 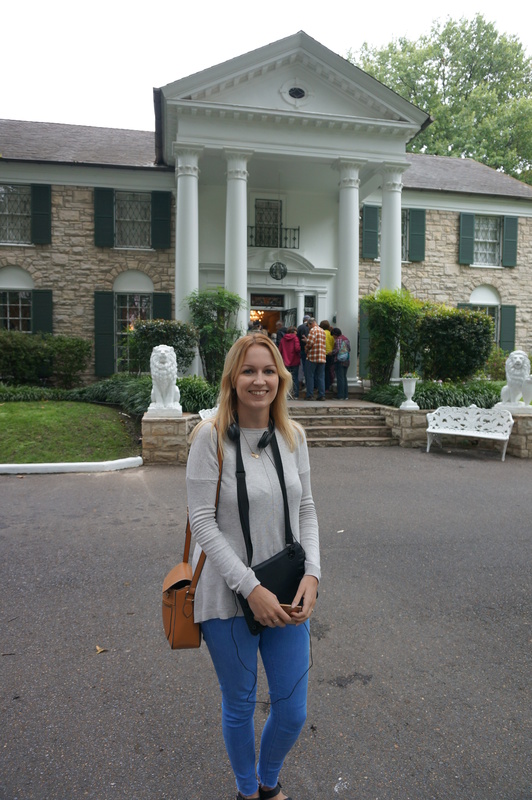 A visit to Graceland along with the hordes of other tourist is a must, even if, like us, you’re not an Elvis aficionado. Visiting early on a Sunday morning was a great call, as we managed to register for our iPad tour (hi-tech!) without too much of a queue. We opted for the standard mansion tour, still not cheap at $36 each, but others were clearly there for the day: VIP packages included tours of Elvis’s plane collection, car collection, and film memorabilia. 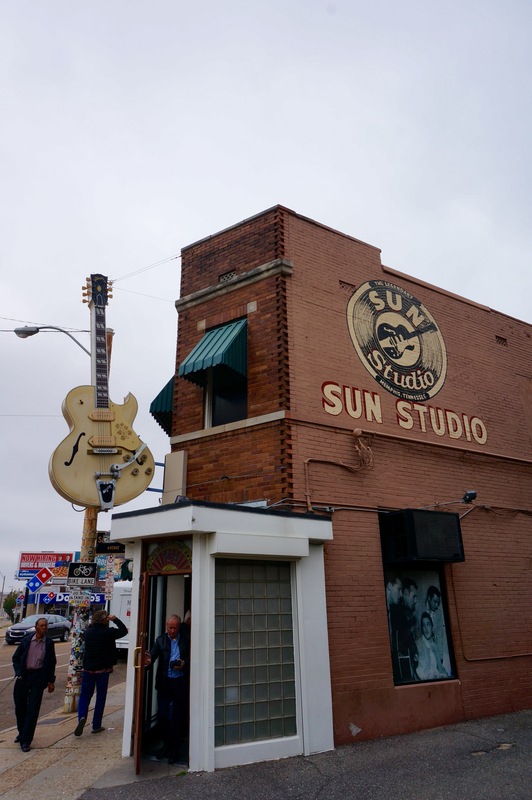 We drove downtown via Sun Studios, where blues and rock and roll greats such as Elvis, Johnny Cash and B.B. King recorded some of their biggest hits. Today, it’s a studio, tour and coffee shop. Beale Street was the next stop on the Memphis sightseeing tour. 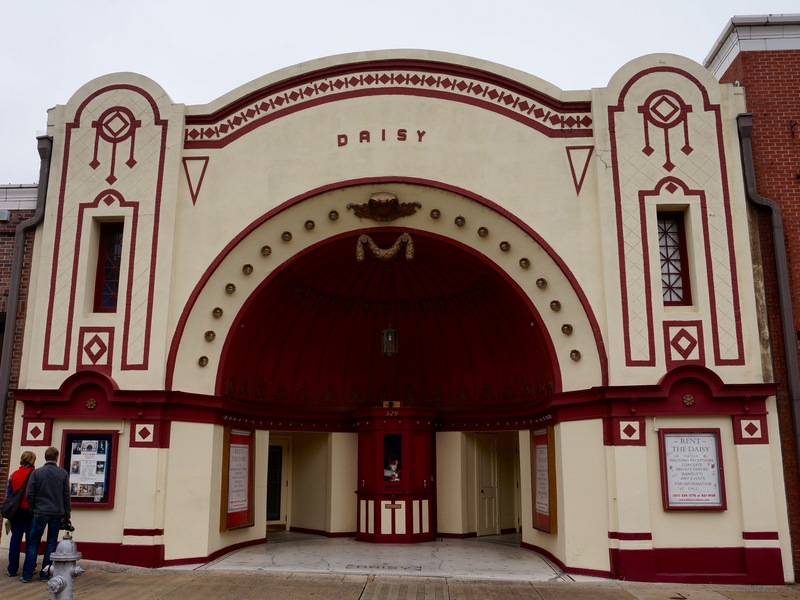 Sunday afternoon was never going to be party time, but the faded grandeur of Memphis’s most famous street, compared to the liveliness of Nashville’s Broadway, was even more apparent given how quiet it was. 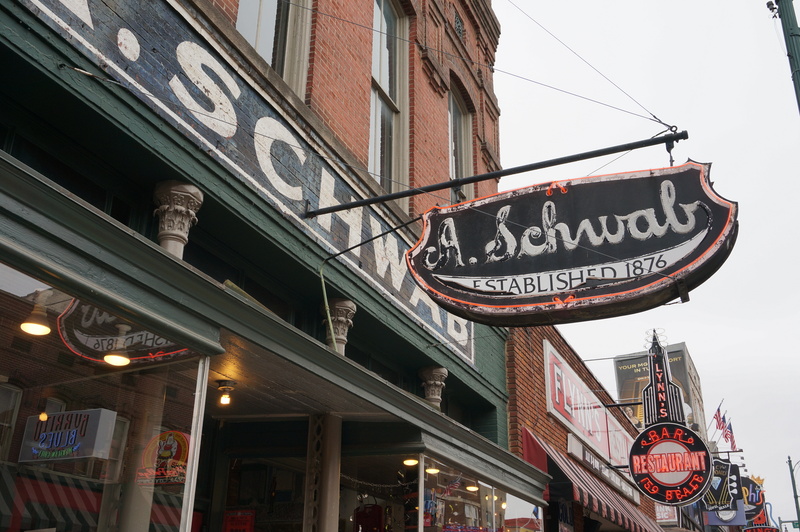 We went to A. Schwab’s, the oldest store on Beale Street (founded in 1876), to try out their traditional soda fountain counter. 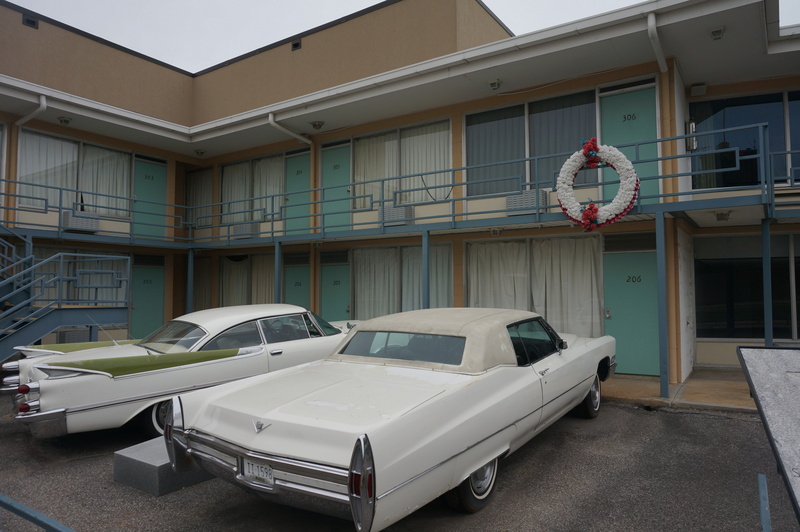 As well as being known as the city of the blues, Memphis has the unfortunate stigma of being the fateful place where Martin Luther King was assassinated at the Lorraine Motel on 4 April 1968. It took the city a long time to recover, but it has turned the hatred and anger of that day into the positivity of the National Civil Rights Museum; a recognition of the struggles and the achievements of the civil rights movement. The museum was all the more poignant for us as it took us on a journey through some of the places we had already visited: from slavery routes into Savannah, Georgia, to the Ku Klux Klan bombing of 6th Street Baptist Church in Birmingham, Alabama; to Rosa Parkes and the bus boycotts in Montgomery, Alabama. It also placed our next destination, Louisiana, in context, with its slave trade associations and its cotton plantations lining the banks of the Mississippi. 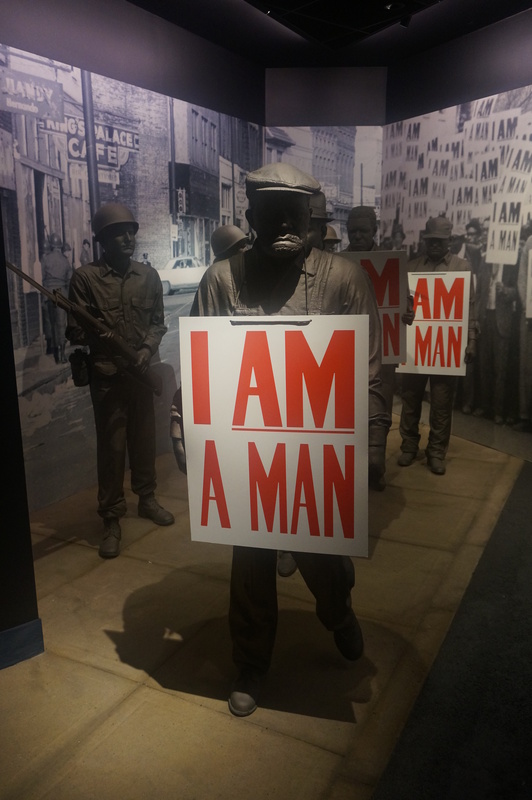 The museum builds the story of black civil rights up to April 1968, a year which saw increasing threats to the lives of those involved in the civil rights movement. The exhibition ends as visitors are taken into the Lorraine Motel room 306 where Martin Luther King spent his final moments. It is so cleverly done and incredibly moving. A really fitting tribute.